I started the first of my last 30 Fridays by submitting my QPP. 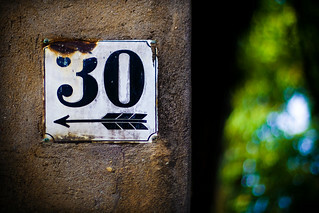 That's right--30 Fridays left. The breakdown of that is pretty easy. 2 semester, 15 days in each semester equals 30 Fridays left. That's a countdown I can get excited about. It means many things for me. It means I can begin to look at vacations as actual vacation time to which I can enjoy time away, rather than banking time for June sessions. It means I can see a somewhat return to normality in terms of not working 4 long days at work and commuting into UMB once a week. It means that I have made it through seven semesters and have 2 semesters of a challenging schedule. It's exciting to see this in my focus. Beyond that, the first day back was light. I have two classes but only one met, Sociological Perspectives in Higher Education who is taught by a professor that I enjoy a lot for the different ways he gets us thinking about any subject matter. I also look forward to the course because it will hopefully help me find the right framework for my dissertation. The first class was all I was hoping for. The class has a good mix of new and seasoned students which creates some great dialogue on the first day. It was also great to see some of my cohort and check in with them about how they did with their QPPs and how they are doing in general.